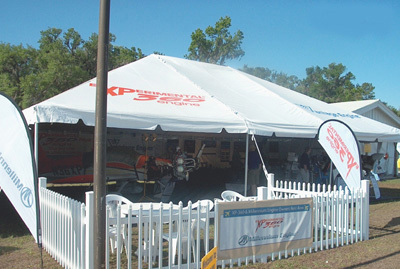 Ohenry tents are built to last, featuring reinforced vinyl tops and heavy duty poles and stakes. If the top on your West Coast frame tent has become damaged in some way, there's no need to buy a new complete tent; just replace the top with this brand new top, built with the same attention to detail as the original. A storage bag is included for easy carrying, and the top is covered by a one year warranty. Either a solid white or a striped pattern in your choice of color is available.